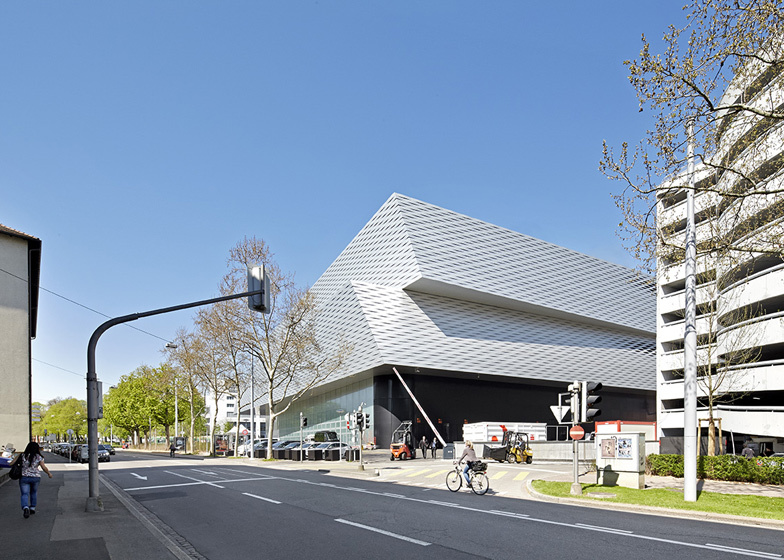 These new photographs by Hufton + Crow show Herzog & de Meuron's extension to the Messe Basel exhibition centre now that the three new halls are in use (+ slideshow). 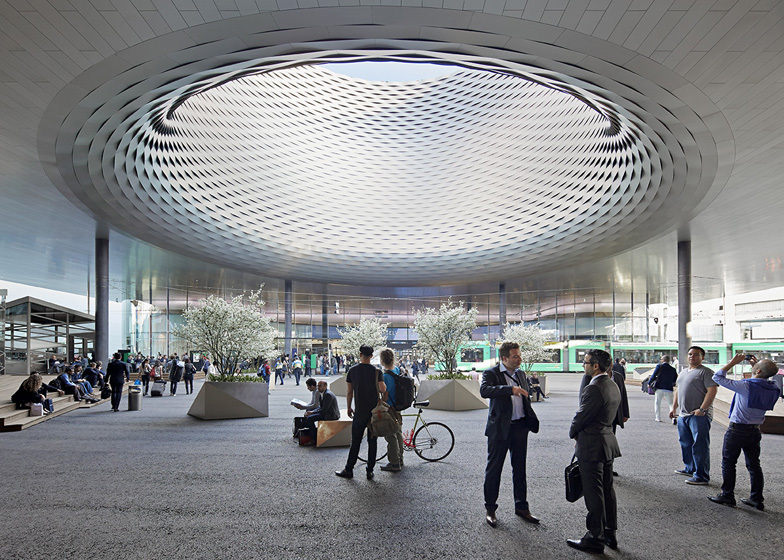 Herzog & de Meuron replaced two of the older halls at the Messe Basel, which hosts Art Basel each June, with an extension that stacks three new ten-metre-high halls on top of one another to create volumes that appear displaced. 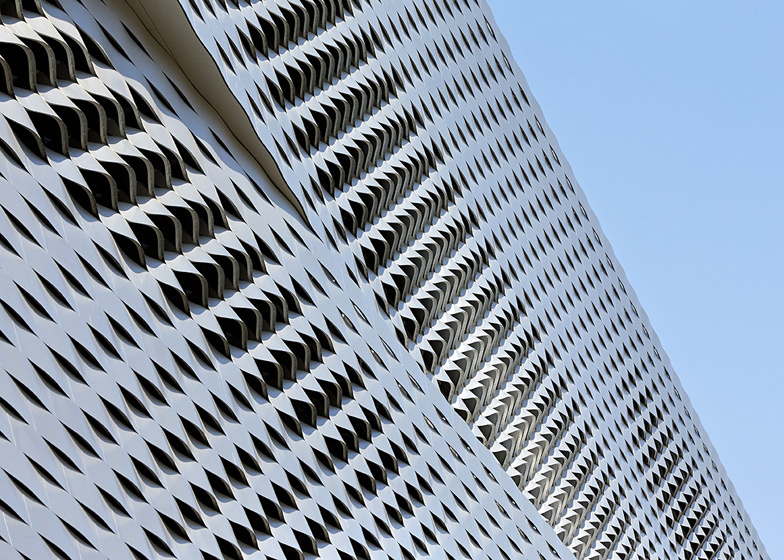 Brushed aluminium clads the exterior of the building and has a textured surface to create the impression of a basket weave. 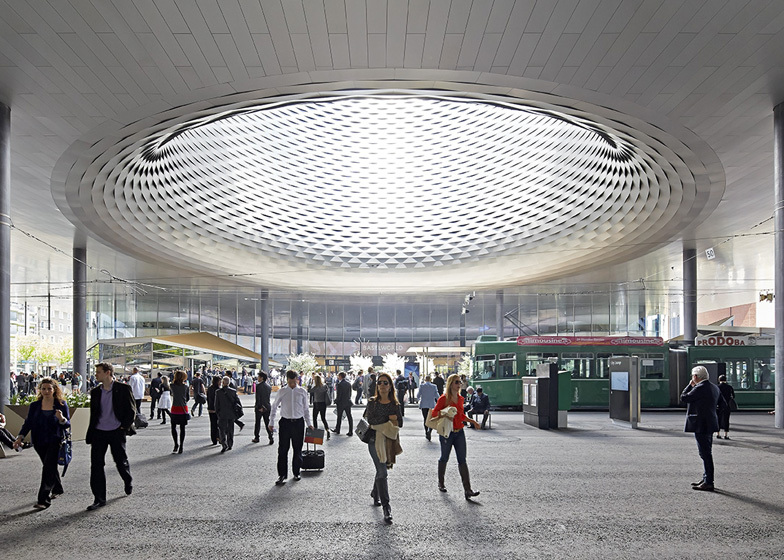 Part of the extension bridges across the neighbouring Messeplatz public square to creates a sheltered area with a huge circular skylight. 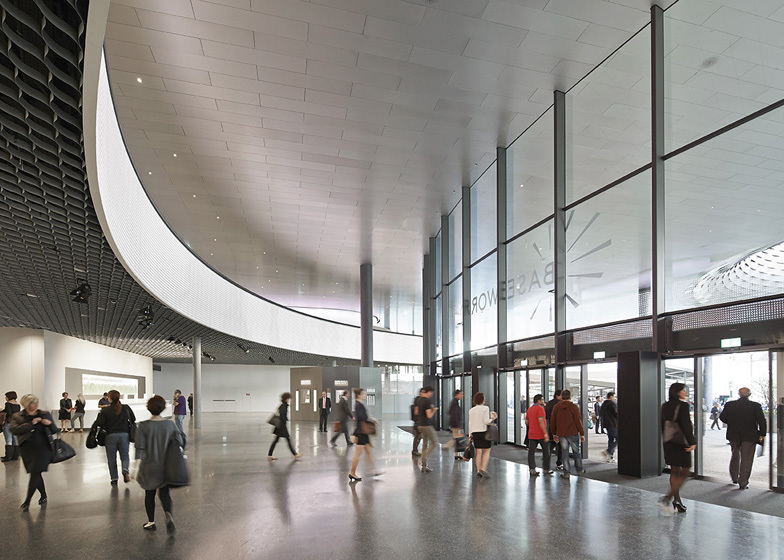 Glazing surrounds the space and leads into a ground-floor lobby filled with shops, bars and restaurants. 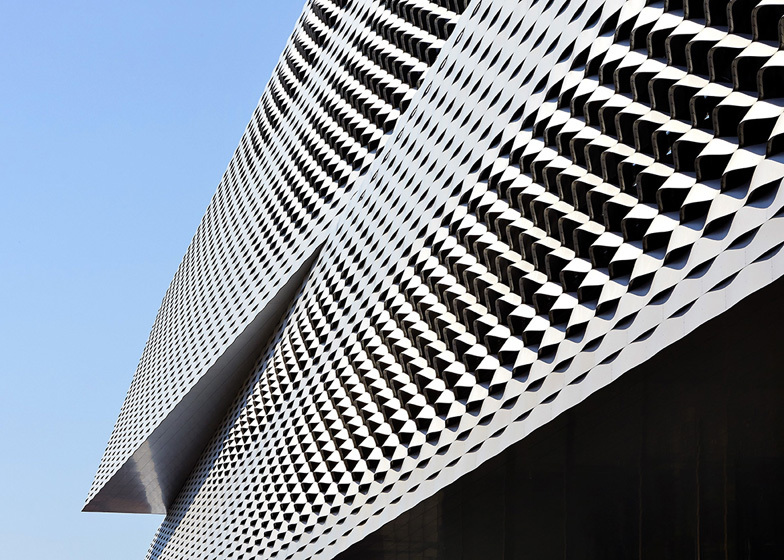 The building was completed in February, but only opened to the public in April. 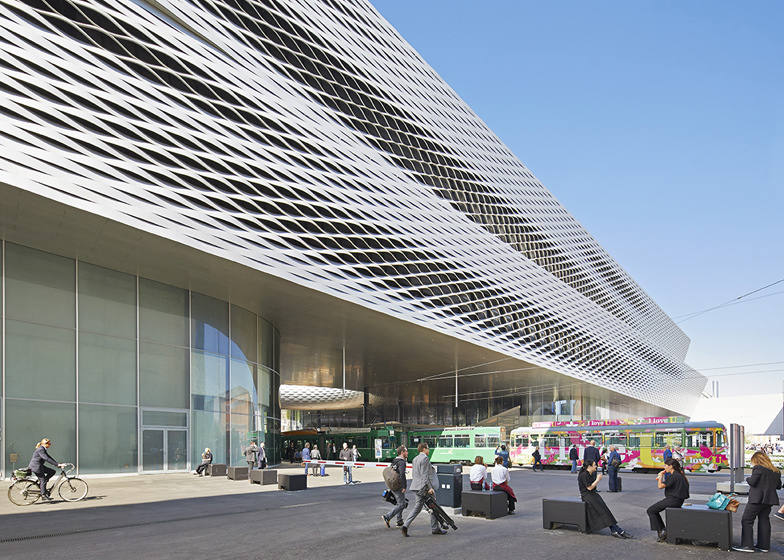 Read more about the Messe Basel New Hall in our previous story. 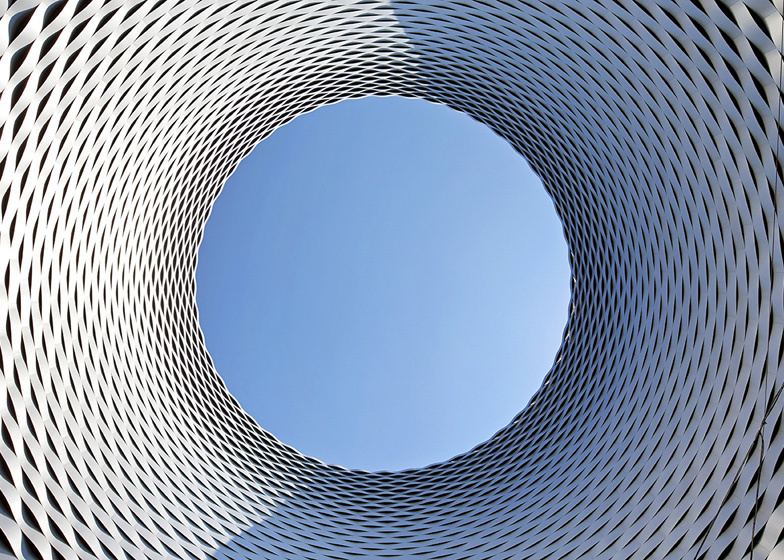 Since completing the building, Herzog & de Meuron has also started construction of a football stadium in France and an outdoor bathing lake in Riehen. 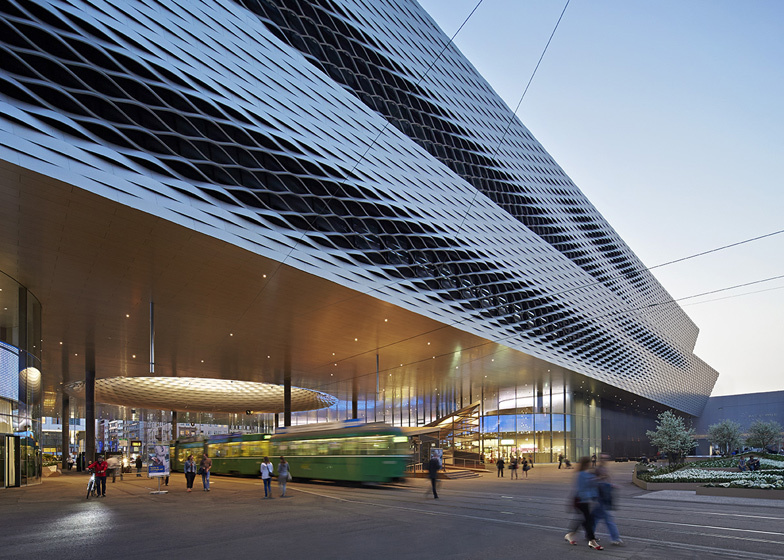 The pair were also controversially chosen to design the new National Library of Israel in Jerusalem. 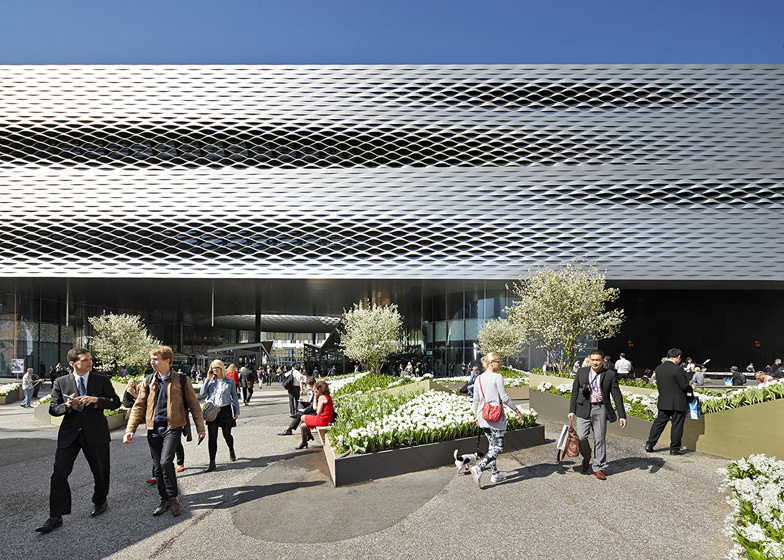 See more architecture by Herzog & de Meuron. 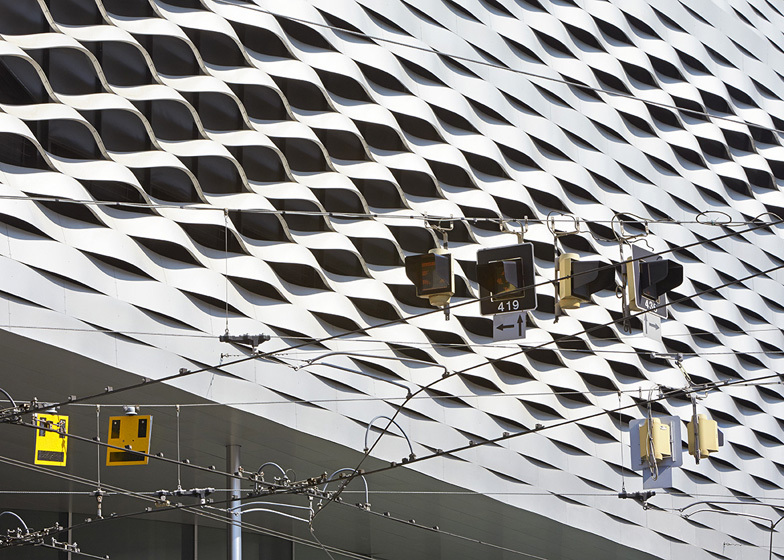 See more photography by Hufton + Crow on Dezeen, or on the photographers' website.